Dive professionals who hold an instructor rating, but are no longer in teaching status may be eligible to enroll directly in the Instructor update or OWSI program to get back into teaching status. Every situation is different, please call PADI to see what your options are first, then call Sea Experience! PADI Open Water Scuba Instructor or higher in renewed teaching status. PADI makes getting back into teaching status easy. Please call PADI at 1-800-729-7234 and ask for an educational consultant to find out what your options are. Then call us at 954-770-3483 to set up your update. Depends on the required update method. Sea Experience is located in beautiful Fort Lauderdale, Florida and is full service PADI Career Development Center licensed by the Commission for Independent Education through the Florida Department of Education. This ensures that your training is provided by a facility that meets the strictest standards not only required by PADI but also the State of Florida. The dive shop, classroom, pool, dive boats and accommodations are all in one location. You will receive complete professional scuba career training with a facility that not only trains all levels of scuba diving but also does daily scuba dives on the local reefs and wrecks and welcomes group dive trips. 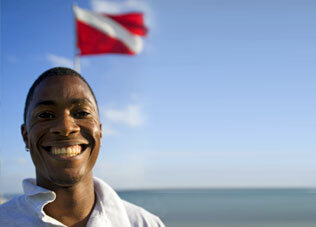 This means you are immersed in the scuba diving lifestyle that only an active dive center can provide.